One of the hottest topics when it comes to obtaining the body of your dreams is which diet is going to work the best to getting you from point A to point B. 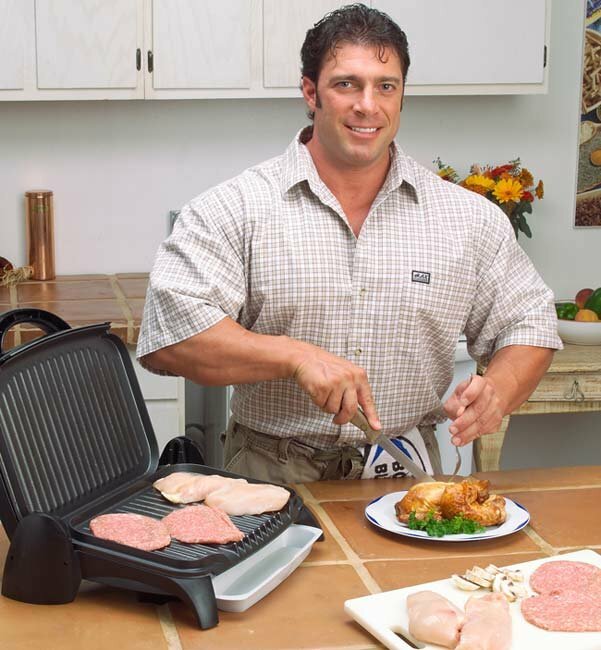 One diet that has received quite a bit of positive acclaim is the anabolic diet. One of the hottest topics when it comes to obtaining the body of your dreams is which diet is going to work the best to getting you from point A to point B. Whether you have 100 pounds to lose or those last 10 pounds that just seem to have taken permanent residence on your lower stomach and hips, everyone is in search for what works best. 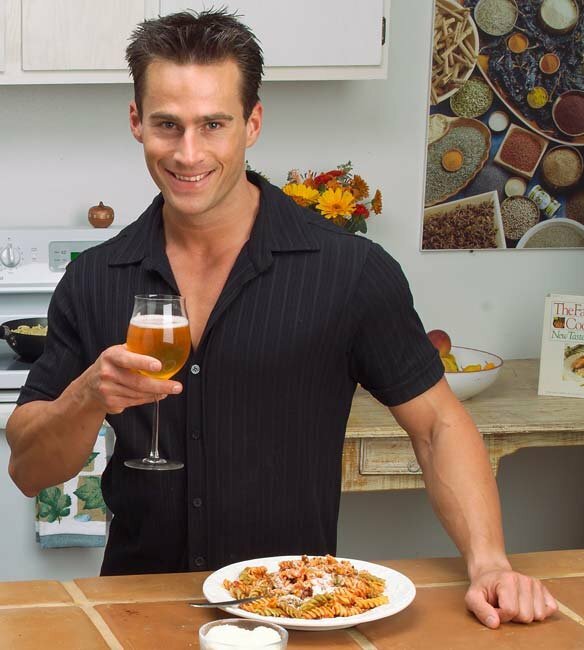 One diet that has received quite a bit of positive acclaim is the anabolic diet. What is this diet and is it right for you? That will depend on a combination of your goals, your psychological factors and the type of body chemistry you have. The anabolic diet is yet another low carbohydrate type of diet out there that claims you can reach your goals in a faster amount of time, without the degree of resulting muscle loss that is typically seen on other diet programs. It basically runs on the premises that you are going to try and turn your body into a 'fat burning organism' rather than one who burns carbohydrates. The idea is that if you can get your body to switch modes and start burning fat and keep it there, you will be better able to get down to the lower body fat level you are looking for. The biggest benefit of this, is when you are running on fat for fuel, you usually do not see as big of hunger fluctuations as when you are on carbohydrates therefore it makes the dieting process much more tolerable. Who will do best on the anabolic diet are those who tolerate low carbohydrate diets fairly well. A few individuals simply do not feel good on them at all and these are the people that should likely avoid this diet protocol. A good way to tell if you are one who does well with low carb is how you generally feel after eating a carbohydrate heavy meal compared with how you feel after you have had a low carbohydrate intake for a few days. If you feel energized after a large carb meal (say a big plate of pasta) then it is likely you do well on a more carbohydrate based diet. If on the other hand you find energy goes up when you are eating more fat rich foods and have been lower in carbohydrates, then this diet is likely the perfect option for you. How Do You Set The Diet Up? Don't let this scare you though because symptoms will most often subside within 24-48 hours after your body makes the switch from running on carbohydrates to running on fats. The one recommendation for while on this diet however is to ensure you are getting a fiber supplement since naturally lower carbohydrate diets tend to be lower in dietary fibre. Also be sure you are including plenty of vegetables in the diet as they are naturally lower in carbohydrates and will help to provide the fibre you need. During the first week or so on the diet, try and keep your carbohydrate intake around 30 grams or less to accomplish the switch-over as quickly as possible. The more glycogen you currently have stored in your muscles the longer it will take you to switch over (since the body will be using that as fuel) so performing some exercise during this time will also be beneficial to help deplete the muscles quicker. Once the switchover is made, then you will start implementing high carbohydrate periods into the diet. This will most often occur over the weekend and will allow you to replenish your muscle glycogen stores so you can carry on your workouts the following week. If you simply skipped over this period, exercise performance would gradually deteriorate over time until you were no longer able to perform effectively. On these carb loading periods you will aim to eat about 15% protein, 15-20% fat and then the rest of your intake will come from carbohydrates. If you are currently dieting with quite a low calorie level during the week, it wouldn't be a bad idea to bump the calories up more over the weekend. This will help to additionally 'shock' the metabolism a little and prevent any metabolic slowdown that may be occurring. If you are rather using this diet to help you maintain your weight and control insulin levels, then you should simply keep the calorie level the same but replace some of your fat choices for carbohydrate choices. A good general guideline for carb intake would be to consume 5-8 grams of carbs per pound of body weight. Eight grams would be the high end for those who are performing a lot of exercise during the week and are completely depleting their stores, while five would be more moderate for those who are exercising but aren't performing as much volume. Do note that you will likely see some weight gain immediately after a carbohydrate loading period however this will most likely be water weight and will go away after returning to the normal diet protocol. During the low carbohydrate period of this diet (during the week), you want to be choosing foods that are high in both protein and fat since obviously these are the two predominant macronutrients you will focus on. Also keep in mind you do not want your protein intake to get overly high as if it is, the body will start converting the excess protein into glucose through a process called gluconeogensis. For every 100 grams of extra protein you consume, there will be a resultant 58 grams of glucose in your body. Therefore, you would need to add this to your current carbohydrate intake, which may make this not so much of a very low carbohydrate diet anymore. It is important you do stay quite low carb during the week because if you don't, you may swing back out of 'fat burning' and start running on glucose again, creating the feelings of dizziness and fatigue you first experienced during the transition stage. Basically any meat will be a good option, including fattier read meats. The common notion that saturated fat should be kept to a minimum is proving to be wrong as it seems as though saturated fat will help to normalize testosterone levels in the body, which are important for retaining and building muscle mass. Any Meat Will Be A Good Option. Dairy products are also good options however you must watch the carbohydrate content in them as some of them can get fairly high. Likewise a similar situation applies with nuts, they will provide you with healthy fats but can get higher in carbohydrate count if you are eating a large amount. Diet soda's and artificial sweeteners are alright as well, particularly if they help you stick with the diet. The only vegetables you will want to avoid will be the ones that are higher in starch such as carrots, peas, corn and potatoes. The rest of them should be consumed in abundance as it will help you feel fuller and ensure you get the vitamins and nutrients you need. Also be sure that you are taking in 6 grams of EFA's (fish oil) per day as this is the most beneficial form of fat you need. During the carb up period, try and keep your carbohydrates coming from as healthy sources as possible, however if you really do feel like having something 'special' such as a treat, do not be afraid to indulge. This will make the diet more enjoyable and help to relieve any psychological factors that may come into play in terms of wanting to cheat during the week. Overall, this diet is very, very similar to that of a Ketogenic diet without as strict of workouts laid out. On a ketogenic diet you are going to perform a structured depletion workout right before your carb up to ensure your muscles are fully drained. Additionally, this diet has slightly fewer guidelines in terms of what exact percentages from protein and fat you need to be getting. With a keto diet you must target the 30% protein, 65% fat and 5% carbohydrate range, making it necessary to be slightly more planned out. Overall the anabolic diet is a great option for those who are looking to either lose body fat or maintain their weight. It is particularly good for those who do not deal well with carbohydrates since it allows you to almost eliminate this macronutrient from your diet, while still being able to exercise (due to the carb up period). This diet is not a good option however for most individuals who perform a great deal of high intensity exercise however as that type of workout relies much more on glycogen stores (which you will not have much of). Furthermore, if you are looking to gain a lot of muscle mass, again this may not be your best option because the hormonal environment, particularly if you are burning ketones (which is very likely on 30 grams of carbohydrates per day), is not the most anabolic. So, as with any low carbohydrate diet, consider your compliance with higher protein/fat foods along with how you feel physically when eating this way. There is no use trying to force yourself on a diet that you know feels like it's working against you because chances are you will likely just give up and resort back to your old eating habits. For most individuals though, once they start on this diet, they really do enjoy how they feel and continue to carry on a similar approach even after they have met their goals.